Enterprise Group has maintained a strong vision to be the largest construction services and specialized equipment rental organization in Western Canada. With development activity in the energy services and civil construction sector expected to increase as the economy strengthens, the Enterprise Group is poised for further growth. Higher demand for energy and utilities coupled with increasing commodity prices, will allow producers and utility providers to reinvest into Infrastructure. Reliable Business Model: Utilizing expertise, relationships, access to capital, and existing businesses to realize the potential of acquisitions: Expand our service offerings, accelerate organic growth, create cost synergies. Attractive Growth Profile: Alberta’s strong fundamentals and prominent positioning inside thefeedstock for British Columbia’s LNG and the Site C Dam build-out createan opportunistic environment for organic growth. Creating Shareholder Value: Integrated and synergistic services provide stable and diversified cash flow. A balanced of specialized equipment and services for the energy, pipeline, and infrastructure construction industries presents the optimal path for increasing shareholder value. Artic Thermal uses portable equipment and proprietary technology to provide efficient ‘Flameless Heat’ and ‘Green Air’ in remote locations that present extreme climate challenges. Our equipment offers a number of unique and specialized services for Construction, Oil & Gas, Agriculture, Industrial Plants, and many more. Highly-regarded full-service oilfield site infrastructure company that fulfills multiple equipment rental needs for a variety of oil and gas customers. The Westar fleet consists of more than 450 pieces. 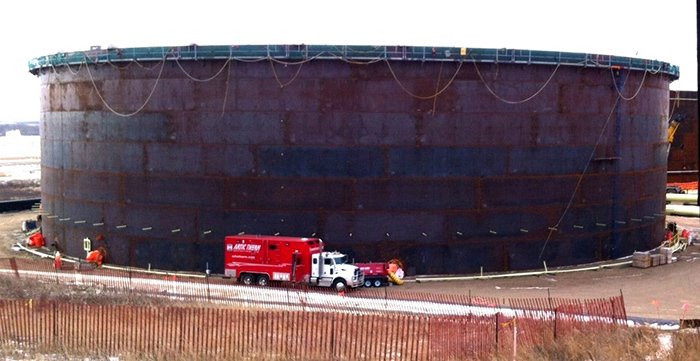 Hart is a full service ‘one-stop’ oilfield site infrastructure provider to Tier One E&P clients. 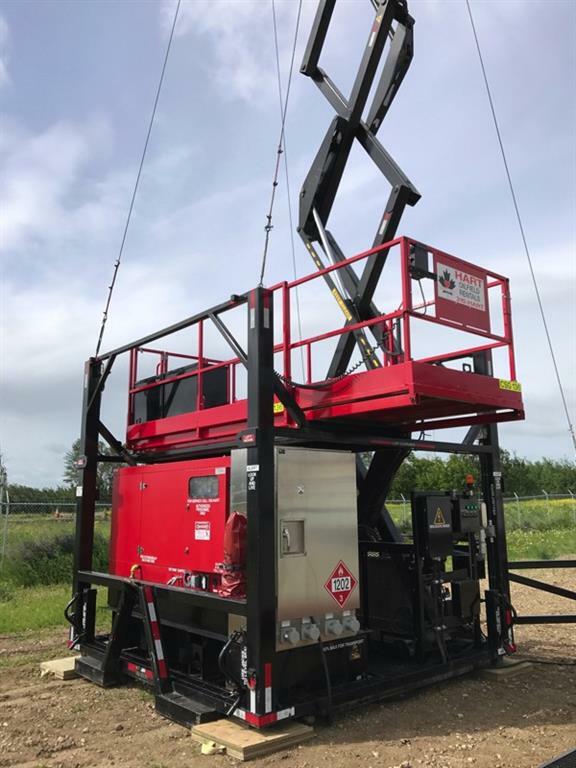 Our Conventional and modular/combo rental equipment fleet consists of ~2,500 pieces of equipment designed to provide on-site infrastructure in support of horizontal drilling and completion operations. Hart designs, manufactures, and assembles its own modular and combo equipment, providing a unique competitive advantage. Safety in design making loading and unloading equipment safer, faster and more efficient. Media Relations posted an update in ENTERPRISE GROUP INC.
8020 Admin posted a press release Enterprise Group Announces Results for Fourth Quarter and Full Year 2018 in Enterprise Group Inc.
St. Albert, Alberta--(Newsfile Corp. - March 15, 2019) - Enterprise Group, Inc. (TSX: E) ("Enterprise," or "the Company"), a consolidator of services to the energy sector; focused primarily on construction services and specialized equipment rental, today released its Q4 2018 and FY2018 results. Stephen F has joined Enterprise Group Inc.
jeff.s.powers has joined Enterprise Group Inc.
8020 Admin posted a News Item Artic Therm International (an Enterprise Group company) - Safe, Portable Heat Generation (up to 300F); With No Flame in Enterprise Group Inc.
How does one generate significant heat with no flame? And once done, what do you do with it? And of course, why? 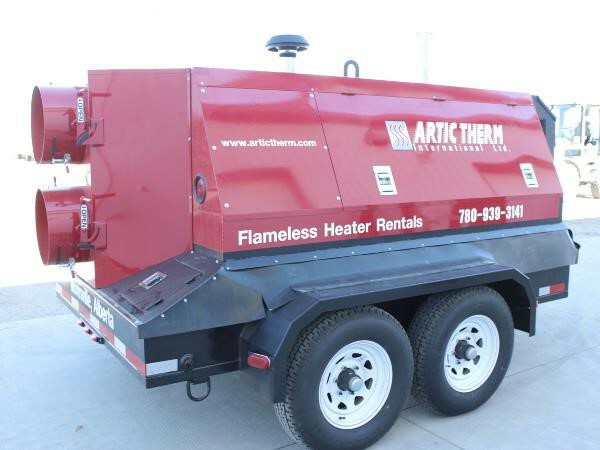 Artic Therm is the largest proprietary supplier of flameless heat in Canada. And with this winter already starting (early) in the north, the all sizes of flameless heater rental units are moving out the door. The units represent two Enterprise patents; one for the disc and one for the airflow design. The disc agitates the oil and creates 60% of generated heat. The rest is drawn from the operation of the diesel engine and exhaust piping within the unit. - Brushless Marine Alternators to ensure there is no source of ignition during operation. Our units are authorized to be in operation up to 7 meters to the wellhead. Our units are authorized to be in operation up to 7 meters to the wellhead. 5. Well sites; prevent freezing of the wellhead. Flameless heat is not merely some fad or a way to speed up heating for convenience reasons. The application can make the difference between a saleable silo of seed as opposed to pretty worthless feed. Also, faster pipe and vessel curing increases the hardening of the materials, markedly lengthening pipe life. Speaking of which, and with no agenda other than it would good for many companies including Enterprise; lots of pipelines will be built over the next several years. The expertise necessary such as flameless heat, pipeline extension, and curing will be the basis for new technologies. Will it make pipelines 100% safe? They will be safer. - Located in British Columbia’s Peace River Regional District, the North Montney Mainline (NMML). Consists of a 206 kilometer (km), 42-inch pipeline, two compressor stations, and 14-meter stations. Construction has begun. 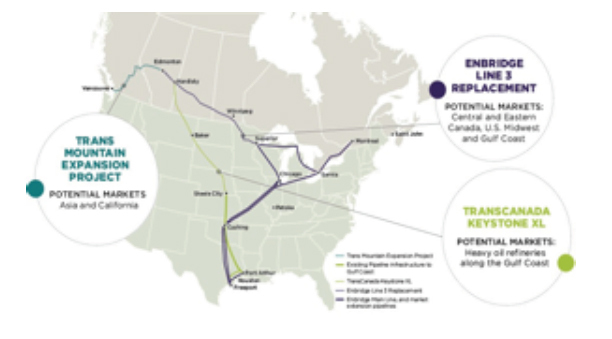 (Through TransCanada’s subsidiary Nova Gas). - In February Pembina Pipeline Corporation announced it would spend $120 million on the construction of new fractionation and terminalling facilities at its Empress extraction plant, located north of Medicine Hat. - In May, MEG Energy disclosed that work is underway on a new expansion of its Christina Lake in situ oil sands project in northern Alberta. - Keyera Corp. said in May that it is proceeding with phase two of its Wapiti Gas Plant near Grande Prairie, Alta., in the liquids-rich Montney play. Additional processing capacity will also be added to Keyera Corp.'s Simonette gas plant, near Grande Prairie. The company says the facility continues to achieve record processing volumes. With world energy needs projecting to increase by 45% by 2040, Canada's LNG plans seem an easier sell than oil, oils sands, etc. ; although many of those will be approved. Burns clean and is a great partner to supplement Green tech for consistent clean electricity generation. As Alberta and BC are one, two in Natural Gas production, companies such as Enterprise (and subsidiary Arctic Therm) are at the thin edge of the wedge for infrastructure building tech. Couple that with competitive and first-class rental equipment, it is hard not to extrapolate decent growth for services over the next decade(s). Add in agricultural demands for drying and other applications and flameless heat will become ubiquitous very quickly. Another major caveat is the US’s current tariff plan. The effect ongoing will favor renting over buying major equipment pieces. The top 10 source countries for U.S. steel imports represented 79 percent of the total steel import volume in YTD 2018 at 12.7 million metrics tons (mmt). Canada accounted for the largest share of U.S. imports by source country at 20 percent (3.3 mmt). Canadian companies such as Enterprise have the equipment to not only survive but thrive, due to its strategies and top shelf and innovative/custom rentals. The Company can really no longer be viewed merely as a supplier. It is now more of a resource; With exceptional growth potential. Oh, almost forgot. Our beer cans are affected. That’s just wrong. Disclaimer: Nothing in this article should be considered as personalized financial advice. We are not licensed under securities laws to address your particular financial situation. No communication by our employees to you should be deemed as personalized financial advice. Please consult a licensed financial advisor before making any investment decision. This is a paid advertisement and is neither an offer nor recommendation to buy or sell any security. We hold no investment licenses and are thus neither licensed nor qualified to provide investment advice. The content in this article is not provided to any individual with a view toward their individual circumstances. Baystreet.ca has been paid a fee of one thousand eight hundred dollars for Enterprise Group advertising. This compensation constitutes a conflict of interest as to our ability to remain objective in our communication regarding the profiled company. Because of this conflict, individuals are strongly encouraged to not use this article as the basis for any investment decision. While all information is believed to be reliable, it is not guaranteed by us to be accurate. Individuals should assume that all information contained in this article is not trustworthy unless verified by their own independent research. Also, because events and circumstances frequently do not occur as expected, there will likely be differences between any predictions and actual results. Always consult a licensed investment professional before making any investment decision. Be extremely careful, investing in securities carries a high degree of risk; you may likely lose some or all of the investment. Luc St-Pierre has joined Enterprise Group Inc.
Desmond Stevens-Guille has joined Enterprise Group Inc.
marycsmith2014 has joined Enterprise Group Inc.
8020 Admin posted a press release Enterprise Group (TSX:E): Time to Review and Renew in Enterprise Group Inc.
As we approach the time in the far and farther north where ice on a beard or scarf mimics a work of art, companies are gearing up for what is being heralded as a very ugly winter. Ugly is relative as you will see. Whether you subscribe to official weather services or the Farmer’s Almanac; don’t lick any exposed metal. You may be there a while as winter 2018-2019 is going to be, well, ugly. When Enterprise Group acquired Westar Oilfield Rentals in 2014, one of the assets the company was working on was a business management software, known today as ‘STAR.' Enterprise continued to fund and upgrade the project and found itself with a proprietary asset that is critical to the profitability and cost mitigation of all of its subsidiaries. alisoncowan4 has joined Enterprise Group Inc.
Timour Prokopiev has joined Enterprise Group Inc.
Media Relations posted a News Item Investors: Winter is Coming in Enterprise Group Inc. Whether pro-pipeline or con, most have no idea the science and safety protocols employed when an oil or natural gas line is laid. The general consensus --that a truckload of pipe is rolled up to a ditch and dumped in is -- in a word, crazy. 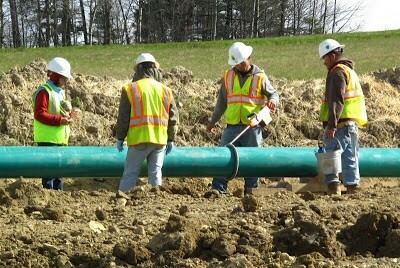 Laying pipeline is a complex industrial dance of extreme safety measures. Not the least of which is the expansion and contraction of the pipeline sections themselves. Artic Therm (ATI) is the leader in this sector, not to mention other areas (thawing, grain drying, etc.). The Company has and continues to develop a myriad of applications for its flameless heat technology. This time of year, is when companies are organizing the equipment necessary to realize their planned infrastructure builds. Pipeline construction has a very precise set of preparatory steps. Artic Therm specializes in pipe diameters ranging from 4 to 48 inches: And pipe lengths from a few feet to several kilometers. In the Arctic, the difference in the ambient temperature versus the temperature of the liquid flowing through can have a massive effect on its integrity. Even high school physics teaches that really hot versus really cold is a recipe for disaster for pipe not properly prepared. Relatively complex calculations are employed to determine the time and temperature necessary to expand and lengthen the pipe, which thereby reduces stresses as well as the need for numerous expansion couplings, or indeed any at all. The process changes little with size or length; however non-insulated lines have many variables that can affect the pre-heating. ATI engineering helps to determine the section lengths which are dependent upon the pipeline scope, size and ambient temperatures. On the smaller diameter lines, the Company will utilize a drafting method to allow consistent flow and absorption of heat. Drafting involves using a heating unit to push the heat and a blower on the distal end to draw the heat. The other aspect to the heating is ATI’s ‘Green Air’, which ensures that should personnel have to work in the environment, the air is contaminant free. When that pipe is installed, along with other protocols, the normal stress upon flow has been vastly reduced and the pipe is contaminant free. Normally the oil etc., is treated as well to eliminate contaminants. Heat in the arctic is as important as water in the desert. Should any onboard systems fail or approach failure, the units’ Murphy Gauges will shut the equipment down and alert the operator either onsite or off. The CFM pusher fan located near the rear of the unit then drives the clean breathable heat through the 12 or 16-inch manual outlets into the target area. The heat that the engine and exhaust produces is reclaimed and recirculated. The purpose of heating is to see who can have the prettiest pipeline but is employed to make these crucial pieces of infrastructure as safe with the longest life possible. Pipelines are coated with a non-conductive coating. During transport and deployment, the coating can suffer anything from a large gash to an imperceptible crack, exposing the metal pipe. As with all welds, the pipe is x-rayed to both check integrity and identify other imperfections know as jeeps. ATI’s mission is to provide an efficient flameless and breathable heat for multiple applications in remote locations and extreme climate challenges. ATI achieves this with three divisions. The first being rentals, which consists of over 150 portable tow-behind Heaters as well as several large self-contained truck mounted flameless units. ATI’s climate control technology focuses on air quality within confined spaces. And lastly, ATI projects division, that utilizes the same technology, but on a much larger scale, allows versatility for the varied and unique client specifications. For investors, ATI and Enterprise are bearing down on a potentially record season. Quote requests are up smartly, and the company feels complete deployment of heating units is likely. 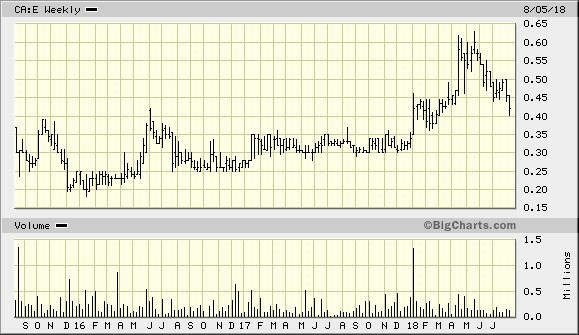 The shares more than doubled this year (C$0.29-C$0.62) and have settled back to the C$0.40 per share range. Spring and early summer tend to be quieter as the Company ramps up for fall and winter; historically a reasonable time to pick up some shares. Also, with the uncertainty of US tariffs, prices for new machines are rising as are parts. It is within the realm of certainty that all of these factors could well lead Enterprise into record revenue territory. The one thing this tariff watusi tells us is that while always a good business call, renting likely was never so important. Winter is Coming: Operators await. 8020 Admin posted a press release Enterprise Group Announces Normal Course Issuer Bid in Enterprise Group Inc.
ST. ALBERT, AB, Aug. 17, 2018 /CNW/ - Enterprise Group, Inc. ("Enterprise," or "the Company") (TSX: E) announces that the Toronto Stock Exchange ("TSX") has accepted its notice of intention to make a normal course issuer bid to purchase outstanding common shares of the Company ("Shares") on the open market in accordance with the rules of the TSX. The Company is authorized to purchase up to 4,393,820 Shares under the normal course issuer bid, representing 10% of its public float, as of August 7, 2018. As of that date, there were 55,147,374 Shares issued and outstanding. The average daily trading volume of the Shares for the six months ended August 7, 2018, calculated in accordance with the rules of the TSX, was 37,550 Shares. Enterprise is subject to a daily repurchase limit of 25% of such volume, being 9,387 Shares, except where such purchases are made in accordance with the block purchase exemption under TSX rules. Enterprise intends to commence the normal course issuer bid on August 21, 2018 and terminate the bid on August 20, 2019 or such earlier time as the bid is completed or terminated at the option of the Company. All Shares purchased under this bid will be purchased in the open market through the facilities of the TSX or alternative Canadian trading systems at the prevailing market price at the time of such transaction. Shares acquired under the bid will be cancelled. During the past 12 months, the Company has purchased an aggregate of 505,000 Shares at a weighted average price of $0.4225 per Share. The previous normal course issuer bid expired on June 11, 2018. 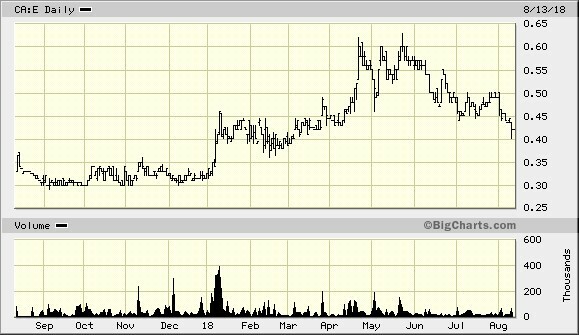 Enterprise's Board of Directors has authorized the normal course issuer bid as it is believed that the purchase of the Shares pursuant to the normal course issuer bid is in the best interest of shareholders as the Shares may become available at prices that make an attractive investment and appropriate use of the Company's funds. This news release may contain certain forward-looking information as defined under applicable Canadian securities legislation, that is not based on historical fact, including without limitation statements containing the words "believes", "anticipates", "plans", "intends", "will", "should", "expects", "continue", "estimate", "forecasts" and other similar expressions. In particular, this news release includes forward-looking information relating to the Company's intention to purchase Shares pursuant to the normal course issuer bid, the number of Shares to be purchased, the timing of such purchases and the impact of such purchases on the value of the remaining Shares. Actual results, events or developments could be materially different from those expressed or implied by these forward-looking statements. There is no assurance that any of the events or expectations will occur or be realized. By their nature, forward-looking statements are subject to numerous assumptions and risk factors including those discussed in the Company's Annual Information Form and most recent MD&A which are incorporated herein by reference and are available through SEDAR at www.sedar.com. The forward-looking statements contained in this news release are expressly qualified by this cautionary statement and are made as of the date hereof. The Company disclaims any intention and has no obligation or responsibility, except as required by law, to update or revise any forward-looking statements, whether as a result of new information, future events or otherwise. paul.totten has joined Enterprise Group Inc.
rob.cook has joined Enterprise Group Inc.
8020 Admin posted a press release Enterprise Group Announces Results for Second Quarter 2018 in Enterprise Group Inc.
St. Albert, Alberta (FSCwire) - Enterprise Group, Inc. (the “Company” or “Enterprise”) (TSX: E), a consolidator of services to the energy sector; focused primarily on specialized equipment rental; today released its Q2 2018 results. • The Company’s operations are subject to seasonality and historically experiences lower activity in the second quarter. The second quarter of 2018 was no exception with spring break thaw and road bans slowing activity. Many customers also chose to delay the re-start of operations after spring thaw and only began renting equipment in June and July. • Despite the reduced activity during the second quarter, for the six months ended June 30, 2018, the Company generated positive cash flow from operations of $1,857,387 and over the same period the Company purchased and cancelled 310,500 shares valued at $142,100. Enterprise believes its stock remains undervalued and will continue to re-invest positive cash flow to buy-back shares to enhance shareholder value. Enterprise is in the process of obtaining approval for a normal course issuer bid to purchase up to 10% of its outstanding stock. • Over the last 2 years, the Company has made significant improvements to its statement of financial position and overall total debt and continues to make regular debt repayments. At June 30, 2018, after adjusting for goodwill and deferred taxes, the Company has assets more than total debt of approximately $50,000,000. Enterprise will continue to look for opportunities to improve its financial position and opportunities that will allow the Company to diversify and expand. • For the six months ended June 30, 2018, Enterprise added $2,267,114 of capital assets to complement its rental fleet. Most of the equipment added, was at the request of, or in consultation with Enterprise’s customers, and as a result, these additions were generating revenue shortly after acquired. Also, in June 2018, Enterprise acquired property that it was previously renting in Pouce Coupe, British Columbia. Ownership of the Pouce Coupe property will allow for diversification and expansion in that region to better service customers. • Revenue for the three months ended June 30, 2018, of $3,240,620 decreased by $991,832 or 23% when compared with the prior period. Revenue for the six months ended June 30, 2018, of $10,050,856 decreased by $1,196,875 compared to the prior period because of the slower second quarter as explained above. • Gross margin for the three months ended June 30, 2018, of $(1,312,114) or (40%), decreased compared to the prior period and EBITDA for the same period decreased to $(2,181,411). The decrease in gross margin and EBITDA are consistent with decreased revenue as explained above. During the second quarter, Enterprise was successful maintaining its existing customer base, however customer demand was for lower margin services compared to demand in the prior period. Management is committed to maintaining a high quality of service provided to its customers to position the Company to benefit from future increases in activity levels and additional work from large project approvals. Gross margin for the six months ended June 30, 2018, was $813,380, a decrease of $2,359,144 from the prior period. The decrease is due to slower second quarter activity as explained above. The second half of 2018 continues to look positive and we anticipate growth throughout the industry. The restart of the Site C Damn project in Fort St. John, B.C., is expected to begin in 2018, the purchase of the Trans Mountain pipeline by the Federal Government has increased the likelihood of this project proceeding, and the final decision on the LNG Canada project is also likely by the end of 2018. As a result of ongoing discussions with customers, management’s confidence is building in its outlook for the Company and its services. Management remains confident in its strategic and operational plans and has a seasoned leadership team to guide the Company. Enterprise is committed to its customer base throughout the Western Canadian provinces and strives to provide excellent customer service and is excited about its future prospects. Daniel Fecteau has joined Enterprise Group Inc.